Pursue wellness as a way of life. Wellness affects every aspect of your life. At Tudor Heights, our wellness philosophy is focused on empowering a way of life that ensures your body is active, your relationships are strong, your mind is challenged and your spiritual needs are met. This philosophy, called Salus™ by Solvere, offers programs that emphasize your physical, social, intellectual and spiritual dimensions to help you thrive and to assist you in achieving your own personal goals. Customized, one-on-one programs provide for meaningful interactions and help you build relationships with others and grow connections through positive social environments. 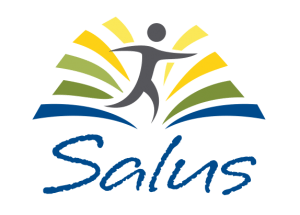 Salus is our trademark wellness philosophy that focuses on your potential to achieve your personal goals through engagement and connection. This philosophy is integrated throughout the Tudor Heights’ Baltimore senior living community and woven into the array of services and amenities offered. Here, you will find an abundance of programs and ways to connect that will help sustain or improve your health and well-being. Through our signature Salus programs, you, your family and the Tudor Heights team are all encouraged to use your unique talents and professional skills. 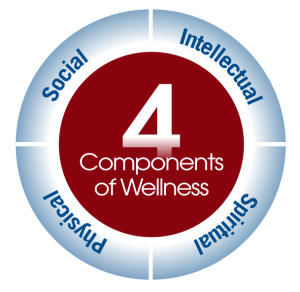 Salus is a comprehensive approach that concentrates on the Four Components of Wellness — each one a critical element for creating a path to meaningful living. Physical: Living a healthy lifestyle through physical activity and proper nutrition as a means to stay strong and flexible, and to limit disease and disability. Social: Strengthening existing connections with family and friends and developing new relationships to stay connected to the community. Intellectual: Stimulating minds through participation in lifelong learning initiatives and challenging, creative programs. Spiritual: Continuing lifelong search for purpose and meaning through faith-based involvement, volunteerism and service and enjoying meaningful pastimes. To age successfully requires a physically active and mentally stimulating lifestyle, strong social engagement, an environment that supports your unique goals and — perhaps most importantly — a sense of purpose and meaning. Salus equips you with the tools you need to meet these goals. Valeo is part of our Salus by Solvere pillar dedicated to memory care. Valeo, Latin for “to thrive,” aligns with the Salus by Solvere holistic approach to wellness. It is specifically tailored to those with memory impairments and integrates all facets of a resident’s life in its approach to wellness through the Solvere Signature Programs. Learn more about Valeo, our signature wellness philosophy for memory care.